Nice serie of night shots. Favourite picture? Certainly #752 Atlantic Star. Wonderful with the car on the street in the background. Well done! Nice one. You can feel the windy, fresh air. Good position in front of the sea, with tha landscape in the background. Perfect angle. 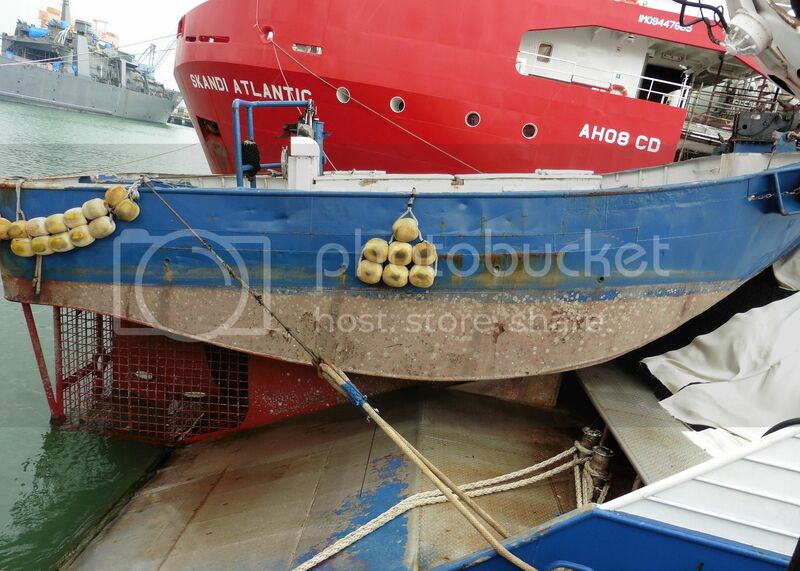 Nice collection of fishing boats, Bengt! I have been trying to find out more about this one, but never realy got a reply, other than that she was probably Russian. 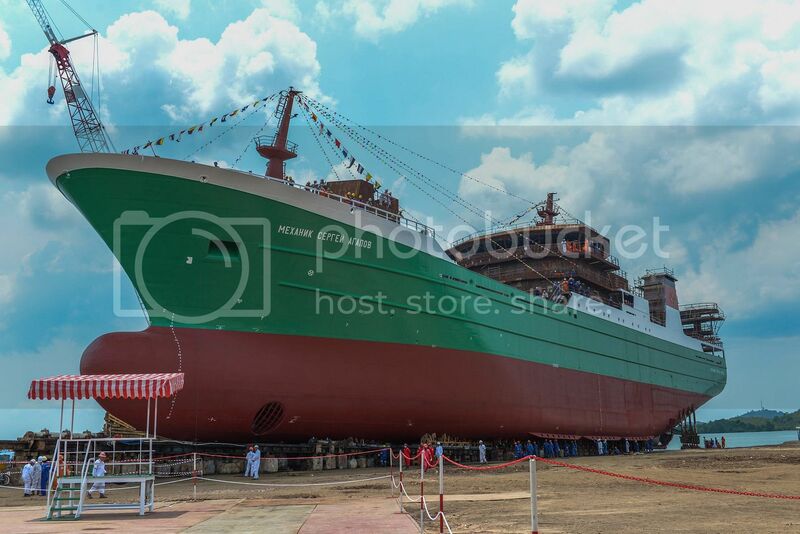 PT Mutiara Shipyard Nanindah, part of DDW-PaxOcean Asia Pte Ltd, is currently finishing the building of DNV class T214 freezer trawler for a vessel owner in Russia. 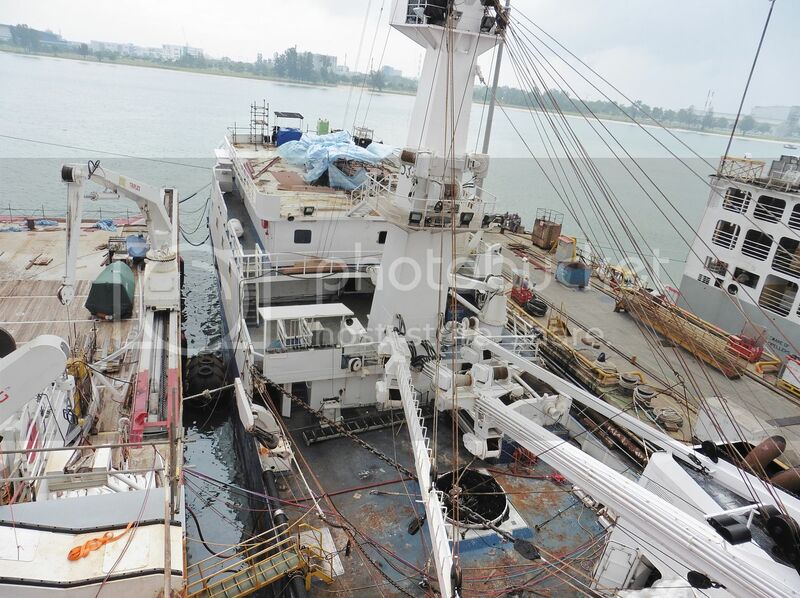 The 115 meter long ship, which will be delivered in April 2014, has auto trawl system and automatic sorting, cleaning, cooling and packaging system for up to 240 tons of fish per day. 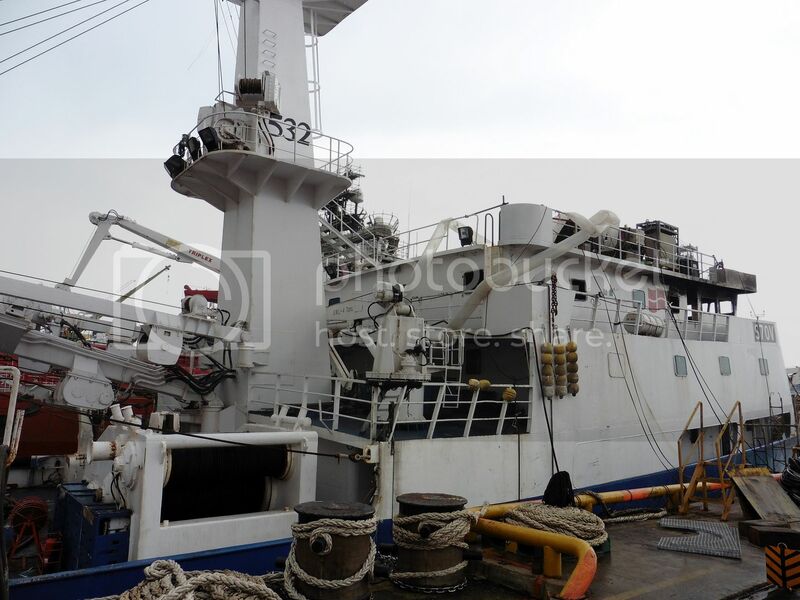 She is very similar to the Dutch Super trawlers, meant for Horse Mackerel and other Pelagic fish. 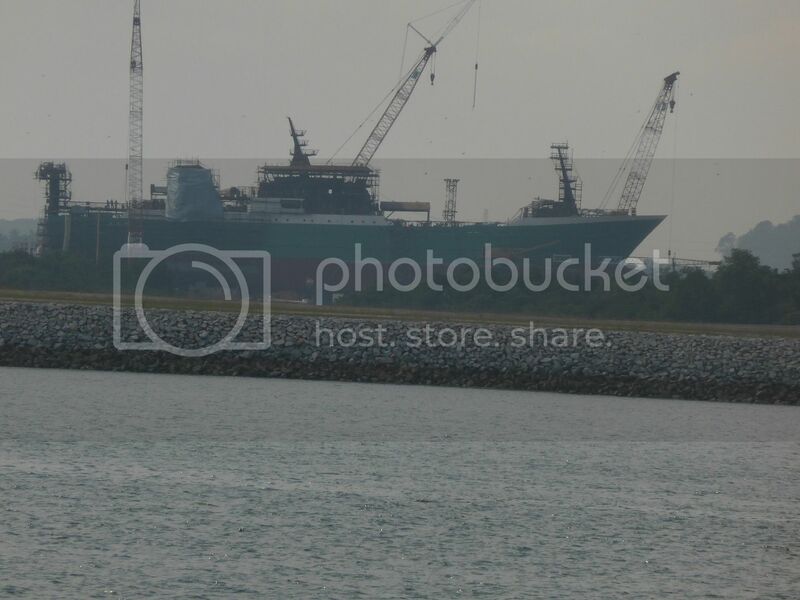 First such vessel built in S.E.Asia as far as I know. Not picture of a single fishing boats, but a video from the traditional Portuguese dorry fishery on the Grand Banks, off Newfoundland, which was done in much the same way for hundreds of years. The Portuguese was among the first to develop modern Factory Trawlers. In fact the first Norwegian Factory Trawler, Longva, had a Portuguese "Traalbas" (Trawl Bosun) He is credited with developing the type of trawl nets used by Norwegian trawlers, even today. 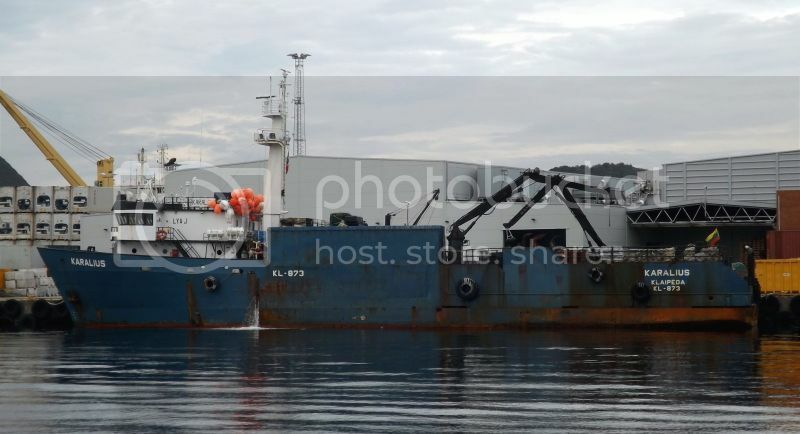 I'm no fishing boat expert but the vessel in 786 is a shrimp trawler, right? 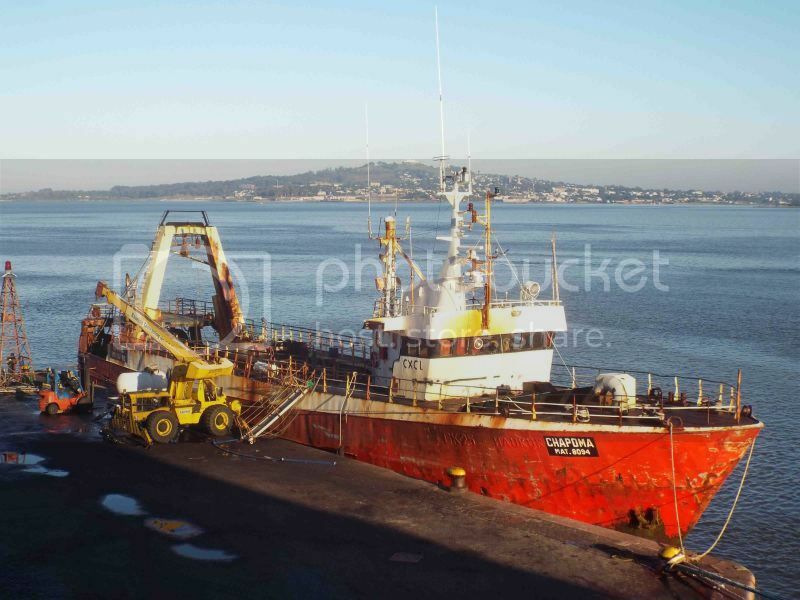 It is a boom trawler, pulling heavy nets along the bottom to catch bottom dwelling fish of all kind, especially flounders etc. Now owned and operated from Montevideo, Uraguay under the name Chapoma. 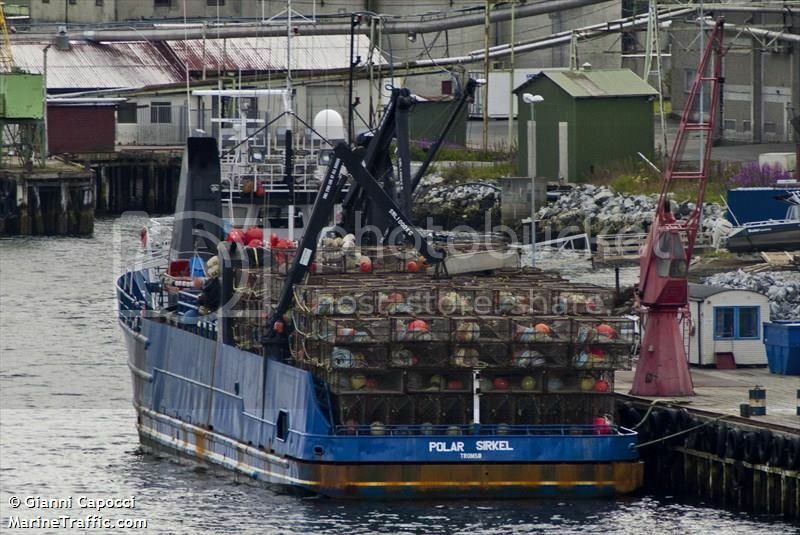 Apparently several more of the Storvik Trawlers are operating in the same area. PS> Found her on Miramar. Originally OSV Marsea 16, built by Halter Marine 1981. Converted to Crabber in 1990. A different kind of Fishing Vessels from what we normally see here on CVF. 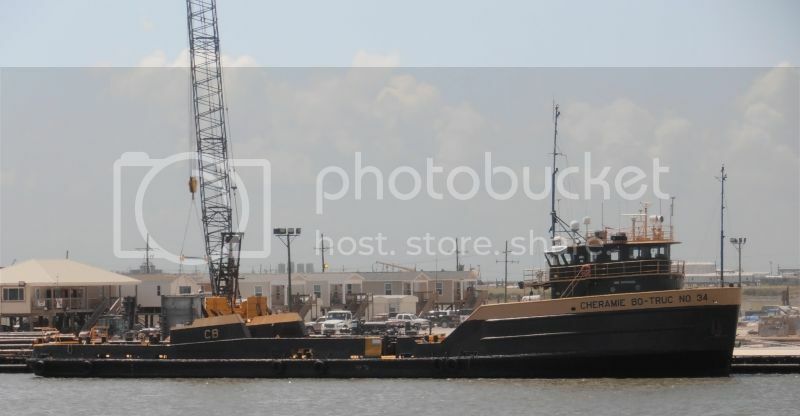 Typical American style Tuna Seiner with the power block on a boom. Norwegian Seiners started up like that when they first got power blocks installed. After several capsizing they got the Triplex block down low. 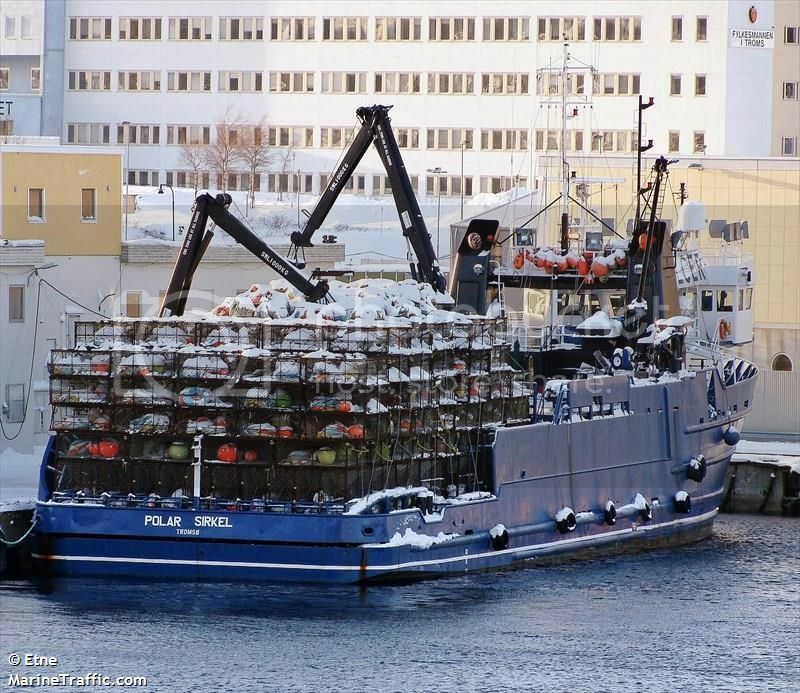 "Arctic Wolf" heading for the Barents sea to fish snow crabs earlier this month. The Arctic Wolf is among the oldest of the type, built in Lockport in 1965. 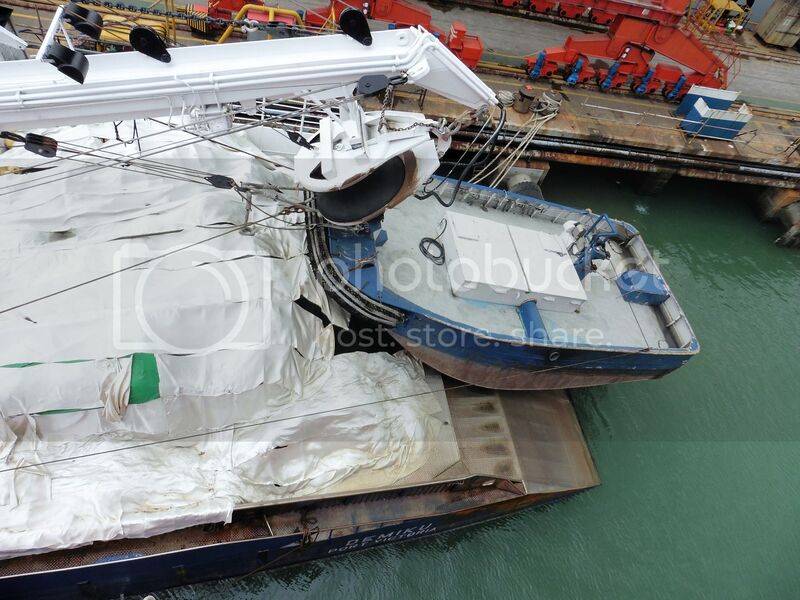 Not much of the old vessel appears to be intact. Even the superstructure is changed and probably the main engines as well, but the hull shape is easily recognizable. 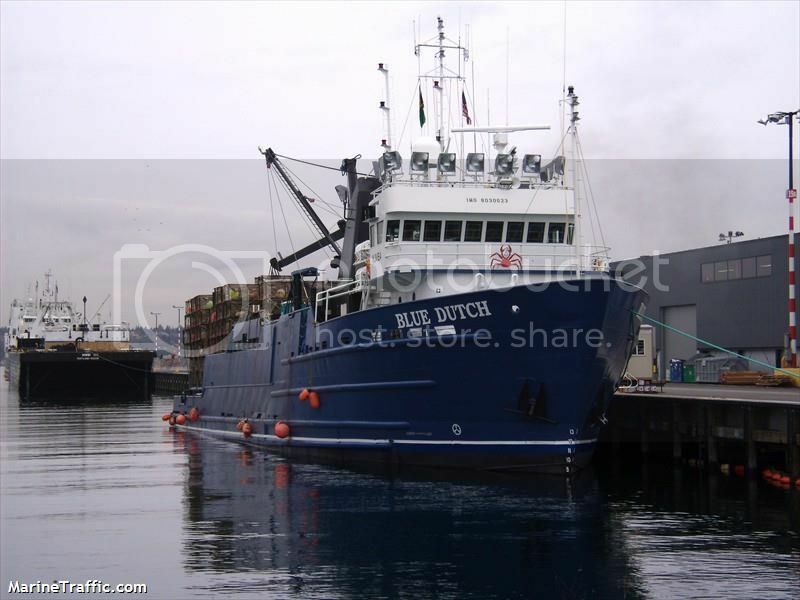 It is difficult to say how many vessels of this type built in the 1960s as fish snow crab in the Barents Sea right now. But I will not be surprised if we see more vessels of this type with the huge amount of snow crab in the Barents Sea ahead. 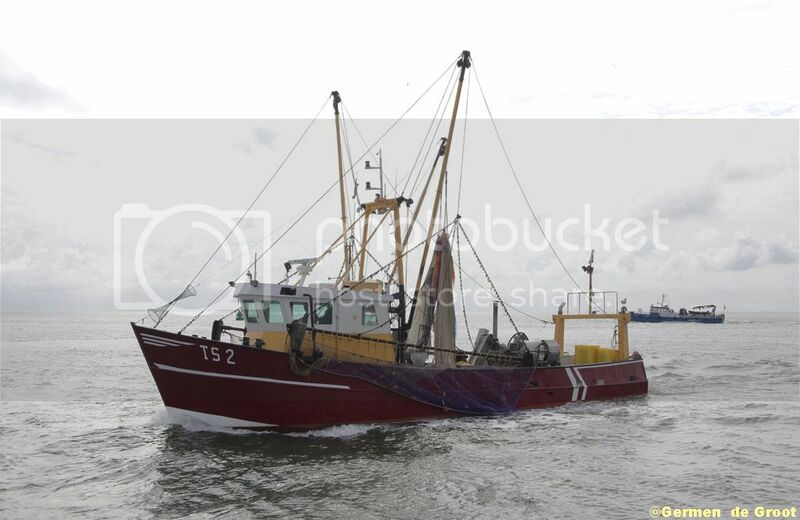 UK 190 Hoop Op Zegen leaving Den Helder harbour. 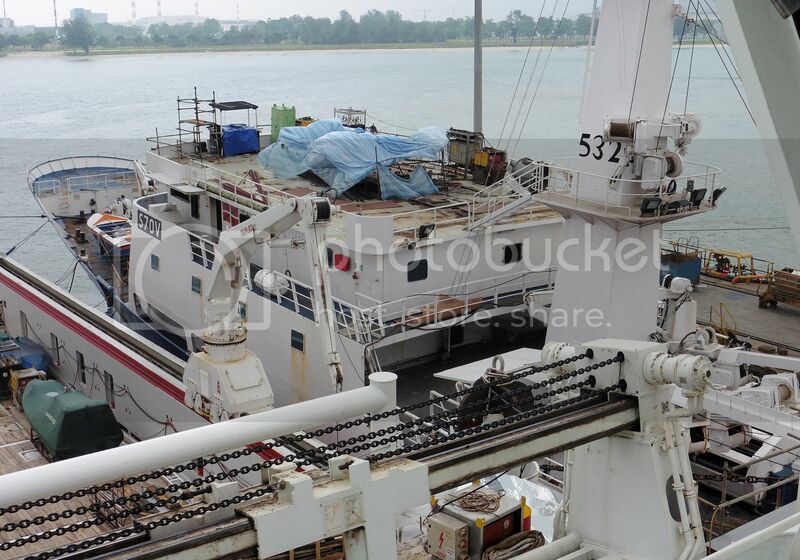 That seems to be a nice trawler, thanks for posting Joakim! 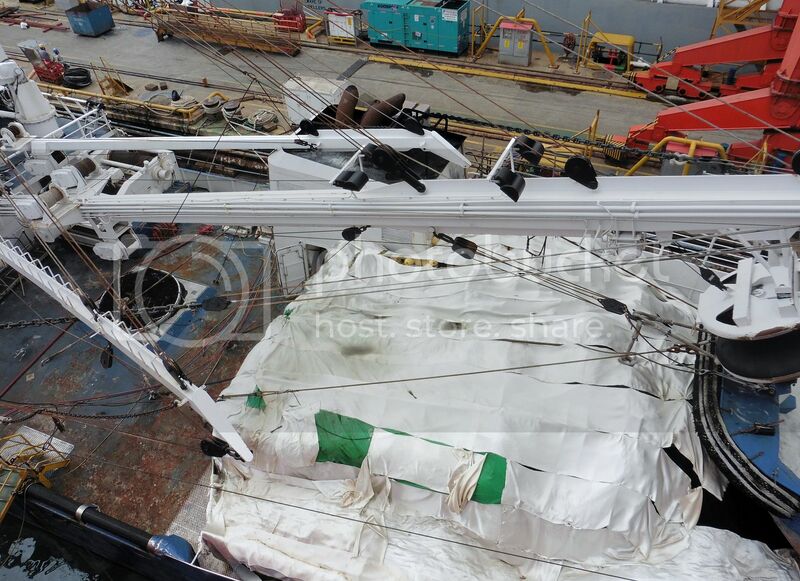 These boats are not exactly high standard when it comes to crew facilities and are frequently being described as "slave ships" due to the conditions their mostly Indonesian crews are working under. The cruise ship in the background may be of more interest to most here on CVF. But which one? ?